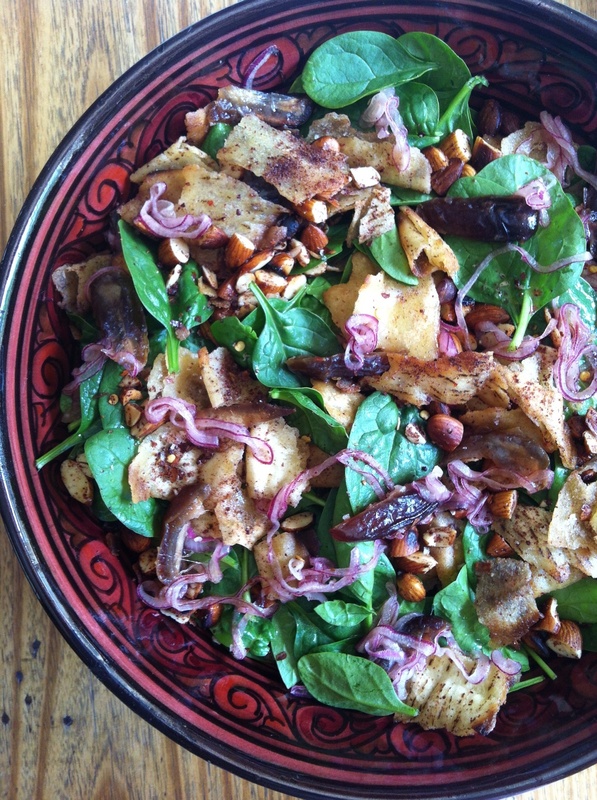 “You don’t win friends with salad… You don’t win friends with salad…”. I don’t believe this to be true, but I do love a good Simpsons quote. Whenever I visit family and friends, more often than not, I’m armed with something edible. It’s just what I do. Not long ago, my friends 7-year-old daughter said to me, quite seriously: “Lucy, you don’t always have to bring food when you come to see us, it’s ok to just bring yourself”. Profound. And then again last weekend, upon being invited to a BBQ: “Lucy, you’re always bringing food, please just bring yourself”. This makes me sound like some kind of food-pusher. Am I a pest? It’s just me living at home, so any opportunity to share my food is welcomed – that’s why I cook – not always for myself but because, for me, feeding people is a wonderful exercise in generosity, an act of nuturing and nourishing, and I love it. So put simply, I thought I’d share a couple of totally delicious salads (the first two in particular) that I’ve made recently to ‘take-with’ – because they’ve been enjoyed by my friends, and they keep asking me back. So maybe Homer Simpson was wrong. 12 Apr	This entry was published on April 12, 2013 at 8:21 am. 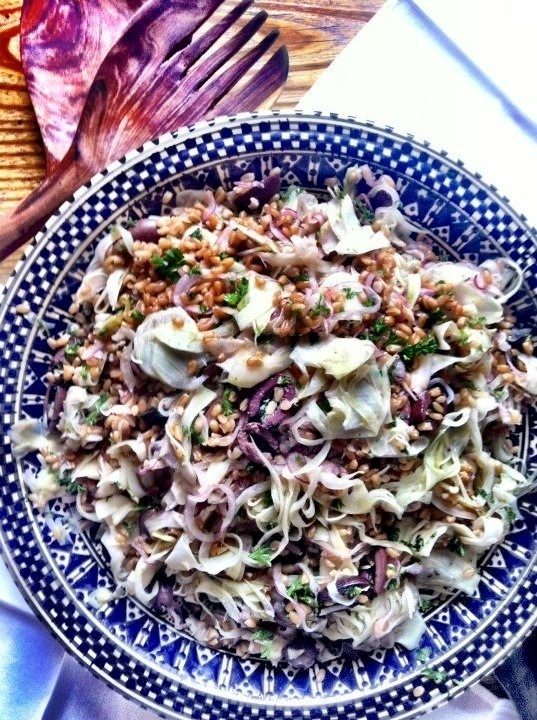 It’s filed under Delicious and healthy!, Lucy's plate, Recipes, Uncategorized and tagged Fennel, Kohlrabi, Salad, Sarah Britton, Spinach, Yotam Ottolenghi. Bookmark the permalink. Follow any comments here with the RSS feed for this post. 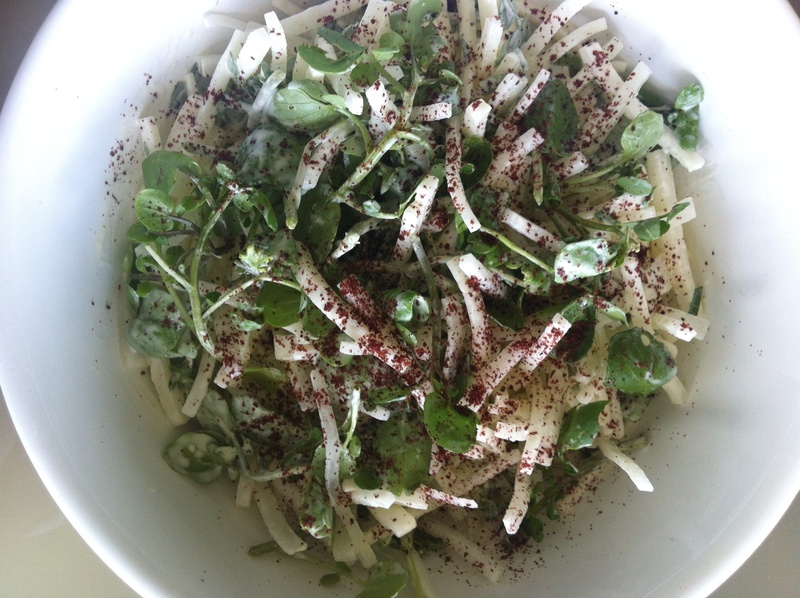 Wow, the kohlrabi salad looks so lovely!